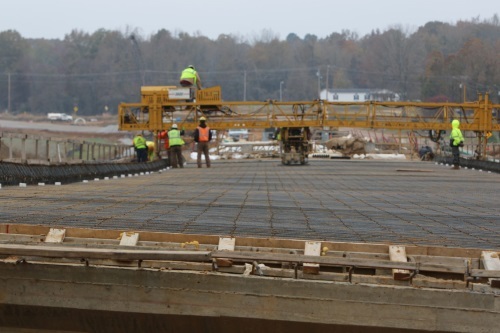 On Jan. 22, the Mississippi Transportation Commission approved $250 million for 163 Emergency Road and Bridge Repair Fund or ERBRF projects that aim to repair or replace 200 bridges – including 99 that are currently closed and another 91 that have posted weight restrictions. City and county governments get $213 million for projects on local roads, the commission noted in a statement, while the Mississippi Department of Transportation gets $37 million for projects on the state highway network. The commission added that 690 applications totaling nearly $1 billion in funding requests were received between November 14 and December 14 last year and that it chose the final 163 projects for the available $250 million in funds based on metrics that took into account bridge condition, project readiness, traffic volume, mobility, and economic impact. The Emergency Road and Bridge Repair Fund was created by the Mississippi Infrastructure Modernization Act of 2018; a measured signed into law during the 2018 Special Legislative Session that authorized issuance of up to $250 million in bonds to repair public roads and bridges that will be partially repaid through revenue generated by a new state lottery.